The 2015 Bordeaux Futures Campaign has officially begun with a dribbling of Petit Chateaux and a few Cru Bourgeois (see below for the first offerings).The classifed Grand Cru Classe’s will be coming over the course of the next 3-4 weeks. This is the last call for advance consultation where you identify to us your wishlist of wines, your budget, your favourite appellation or favourite chateau that we will then help fulfill. Note that we will purchase wines based on the result of all of the advance consultations and offer it to those who have come forward first. Any unsold bottles after the fact will then go on the website for sale to the general public – thus by then availability of what is left may be extremely limited. So, please come forward asap for the best selection. The final deadline for advance consultation will be end of day April 30th. 2015 looks to be an excellent vintage (certainly the best since 2010) where the Merlot based right bank appellations of Pomerol, St. Emilion & satellites are the highlights of the vintage. 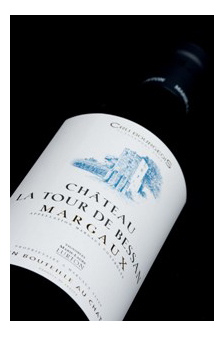 On the Cabernet based left bank, Margaux and Pessac-Leognan appear to be head of class. Thus we will focus on these appellation for the Petit Chateaux, Cru Bourgeois and Grand Cru Classe’s. Please feel free to drop us a line at ‘info@devinewines.ca’, or come in person to talk with us. This year, we require full payment upfront (this locks the wine in irrespective of exchange rate fluctuations) and the wines will arrive in the store mid-year 2018. 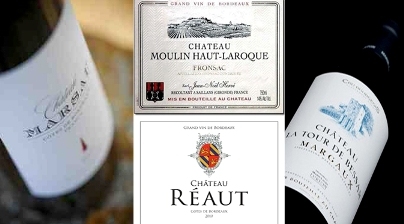 For those new to Bordeaux, we are doing a tasting of some of the 2008, 2009 and 2010 vintages on Saturday, May 14th where we will taste some great Bordeaux wines and speak to Bordeaux Futures – this is the event to debunk your fears of this most famous of wine producing regions, you can sign up here..
With the warming weather, we’re already noticing a higher demand for whites. One of the favourites is for Sauvignon Blancs, known for its crisp, elegance and freshness. Other common characteristics include gooseberries, cut grass, fresh peas and passionfruit. This green-skinned grape variety originates from the Bordeaux region of France. The grape most likely gets its name from the French words sauvage (“wild”) and blanc (“white”). Sauvignon blanc is planted in many of the world’s wine regions. While it is a component of the famous dessert wines from Sauternes and Barsac and in White Bordeaux and Sancerre (Loire), many countries now produce world class Sauvignon Blancs, including New Zealand followed by Chile, Italy, Canada, South Africa, Germany and California (sometimes called Fume Blanc). Great for outdoor drinking, great in picnics – pair with vegetarian dishes, fish or poultry. Don’t serve too cold. On Thursday, April 28th at 7pm, deVine welcomes winemaker Benjamin Silver of Silver Wines for a special sit-down tasting of his portfolio. Located in Santa Barbara, California, Silver’s terroir driven, varietally correct and well priced wines have found a niche in our store over the years. Benjamin learnt his craft at the Zaca Mesa Winery in the mid nineties, and launched his own label in 2000. 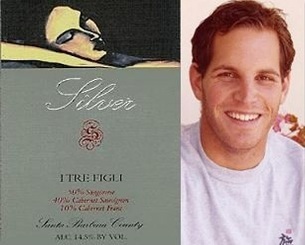 Silver Wines currently produces small bottlings of Pinot Noir, Cabernet Franc, Syrah and unusually Nebbiolo, and two proprietary blends: Saviezza & I Tre Figli. All grapes are sourced from the Santa Barbara County. Benjamin will be bringing a surprise or two for this tasting…It’s been quite a few years since Benjamin’s done a tasting with us, so be sure to sign up early to hear and taste with one of the most talented winemakers in Santa Barbara. You can sign up for this event here..
Bordeaux is one of the few wines in the world where they present their wines for sale long before it is even bottled. It is called En Primeur (or Futures). deVine has had a tradition of offering the great wines from great Bordeaux vintages in our Futures program since the store’s inception. We have presented large Futures for the heralded 2005, 2009 and 2010 vintages, with smaller offerings in 2008 and 2011. The 2015 will rank with 2000, 2005, 2009 and 2010 as the best since the new millennium, so those of you wanting a great Bordeaux vintage in your cellars, then you must participatein this must have 2015 vintage. 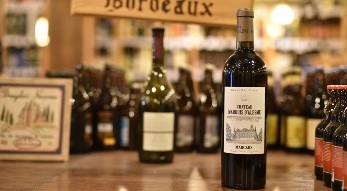 The prices won’t be cheap as 2011 through 2014 were merely good, so the Bordelais will definitely want to make some money with this vintage (there are rumors of a 15-20% increase over 2009 and 2010 pricing). Given the current economic climate, we will be doing things differently this time around. It is not wise to have excess stock sitting around, so we will be consulting with you beforehand and purchasing only what has been committed by you. We will still have some stock for sale upon release, but it will be more limited than for 2009 or 2010. Open tastings for critics start in early April, we then await the scores from major critics (Wine Spectator and Robert Parker of the Wine Advocate among others) and then in late April or early May, the wines dribble out on offer over the course of a couple of weeks. You can convey this information to us via email (to info@devinewines.ca) by end of day April 30th, but we prefer you drop in and talk to us so we get all the basis covered. Beware who you buy futures from – this is like the stock market, wines are purchased years before they are even bottled and a lot can change in barrel – it is wise to consult with experts prior to purchasing and from those with a proven track record. We have been doing this for awhile and have delivered on every single bottle purchased from us En Primeur. Our free consultation will help you choose from the masses of supply out there and provide you with some great Bordeaux for your cellar at the budget that suits you. This year, we require full payment upfront (this locks the wine in irrespective of exchange rate fluctuations) and the wines will arrive in the store mid-year 2018. What is not sold in Futures program will be put on the shelf for sale upon their arrival at a 20% premium thus it is wise to buy now to ensure you get your hands on some and at a better price.